Research results will be used to shape services and address changing needs of small businesses. 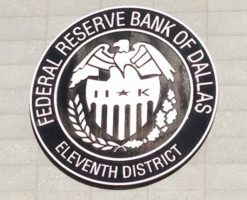 SAN ANTONIO, May 3, 2016 – A poll conducted by the Federal Reserve Bank of Dallas in partnership with the Small Business Development Centers of Texas, including the UTSA South-West Texas Border SBDC Network, found that for the first time, access to capital is the greatest challenge facing small-business owners in Texas. While still a critical issue, finding talent fell to second place, garnering 20.4 percent of responses. Sales and marketing was once again the most sought-after skill for potential employees, followed by interpersonal skills. This third annual Small Business Assessment Poll was conducted during the last three months of 2016 and included responses from 1,358 small business owners from 101 counties across Texas. Overall, 20.7 percent of respondents cited access to capital as their top concern. The data collected by the poll shows capital concerns were even more acute among minority- and women-owned business enterprises (MWBEs), with 24 percent of MWBEs noting access to capital as the most important problem affecting their ability to grow their business compared with just 15 percent of non-MWBEs. The assessment poll will help Texas Small Business Development Centers shape their services and strategically plan to proactively meet the changing needs of the small business industry. Results from the poll will also help small business owners understand the dynamics and needs of other small business owners in Texas. The UTSA Institute for Economic Development serves as the host for the South-West Texas Border SBDC Network, one of four SBDC networks in Texas. SBDCs in Texas were selected as the premier partner to roll out the assessment poll due to their vast reach in Texas, with more than 44 field locations, outreach activity and additional specialty offerings. In addition, the centers maintain active relationships with numerous chambers of commerce and other economic development leaders throughout Texas. The South-West Texas Border SBDC Network stretches for 79 counties across south, central, west and Gulf Coast Texas. This vast and diverse territory encompasses 108,000 square miles including our state’s capitol. To meet the challenge of providing services to aspiring and experienced entrepreneurs, the Network operates 10 professional staffed SBDC centers. The SBDC is funded in partnership with the U.S. Small Business Administration (SBA), The University of Texas at San Antonio, as well as colleges and universities throughout the Network’s territory. The 29,751 advising and training clients served in 2016 represent almost 20 percent of the 148,784 employer businesses in the service area. SWTXB SBDC Network clients continue to outperform the average Texas business in sales and employment. Those clients, who represent the Network’s long-term impact, also generated more than $62 million in state tax revenues for Texas.